In September 2012 HQ London District ran a Diving Expedition to the Canary Island of Fuerteventura off the coast of Morocco in the North Atlantic. Thanks go out to the Ulysses Trust who helped fund the exercise. Exercise Cockney Deep Blue as it was known was run for several reasons; to train and qualify divers who had the beginner BSAC (British Sub-Aqua Club) Ocean Diver qualification as intermediary Sports Divers, to conduct a challenging diving program to develop leadership, physical courage, confidence and determination, and to assist in unit retention. Sub-Aqua Diving places a lot of pressure on the body – to dive in the Armed Forces everyone must undergo an in-depth dive medical which includes an ECG heart examination and a step test to measure pulse rate. For those who had no diving qualification they also had to attend a BSAC Ocean Diver course. The course is run over four or five days at both the Army Sub-Aqua Dive Centre in Bovington, and the Joint Services Dive Centre Bovisands Plymouth. To ensure that the exercise ran smoothly preparations began in January. 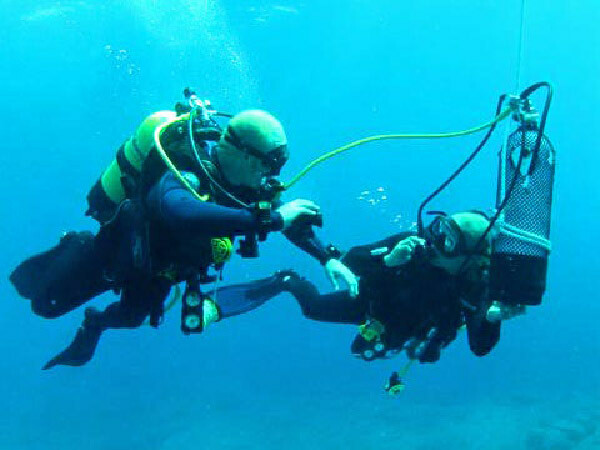 The exercise was based in the town of Caleta De Fuste on the central eastern coast of the island using the Deep Blue Dive Centre (www.deep-blue-diving.com). The location and dive centre were selected for their suitability for conducting Sports Diver training due to its proximity to dive sites and accommodation. The owners of the dive centre were also able to arrange accommodation and airport transfers making this area of planning much simpler. All diving was conducted from rigged inflatable boats off the shores of the island along the Salinas Reef. The average sea temperature was 24°C, so all diving was conducted in one piece wetsuits. Dive equipment was drawn from Loan Pool Stores at Bicester, less air tanks and weight belts which were provided by the dive centre. The Sports Diver course was delivered by Open Water Instructors who where invited from units across the army. 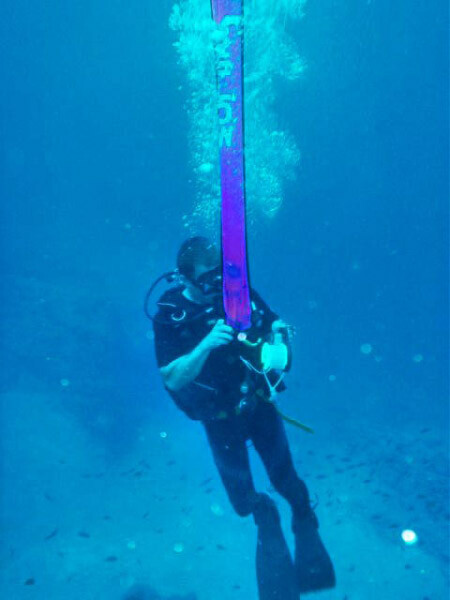 The course consisted of training in buddy rescue techniques, decompression diving, and dive planning using air and nitrox tables. After the course a staged progression in dive depth is made from 20 meters all the way down to 35 meters. At the end of the exercise total of 122hrs of diving had been conducted. Seven Ocean Divers qualified as BSAC Sports Divers, and during the remainder of the program dives were logged for all Sports Divers towards the next BSAC qualification – Dive Leader. The Island of Fuerteventura and the Deep Blue Dive Centre is highly recommended to anyone planning a similar expedition in the future. Thanks again to the Ulysses Trust.